Whether you’re buying or selling a home, having a professional home inspection will give you peace of mind and assist you, in a fair and smooth transaction. Home Spec Solutions, Inc is the premier home inspection company on the Treasure Coast. Our service area includes, but is not limited to, Indian River, St. Lucie, Okeechobee, Martin, and north Palm Beach counties. We have been trusted by home buyers to help them make informed buying decisions 6 years. Our home inspections typically range from 2-3 hours long depending on the size of the home inspection and you are welcome to follow along with your inspector as the home inspection is performed. At Home Spec Solutions, Inc. we take great pride in every home inspection we perform. When the inspection is finished, a detailed report regarding the property will be provided to you. 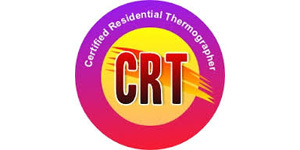 The report will contain digital color photos and promptly emailed to you the same day the home inspection is completed. Home Spec Solutions, Inc. understands timing is crucial and we take pride in our quick response time. The Best Choice for Home Inspection Services: Now you can put our outstanding reputation for service and reliability to work for you. By choosing Home Spec Solutions, Inc, you benefit from an experienced, licensed and insured home inspector that delivers detailed reports that meet or exceed the Florida Association of Building Inspectors (FABI) and Florida standards. Home Spec Solutions, Inc. encourages homeowners to be present during home inspection. By taking part in your home inspection, we can educate you about your home and familiarize you with its content as each location is assessed. Home Spec Solutions, Inc. is bound to a strict code of ethics. This ensures quality service while providing important protections. These requirements are:• Work exclusively for the client • Follow nationally accepted standards of practice for home inspections • Must not perform repairs on any home inspections Trained to be familiar with a wide variety of systems and situations and stand firm that consumers have the right to expect the highest standards of thoroughness, fairness and effectiveness from their home inspector. All of our home inspections are accompanied by written reports that must be authentic and stand up to critical examination. Home Spec Solutions, Inc. continues to build a stellar reputation one home inspection at a time to ensure you get the quality service you expect from Home Spec Solutions, Inc. Port St. Lucie, Fort Pierce, Hutchinson Island, Palm City, Okeechobee, Hobe Sound, Jensen Beach, Sebastian, Tequesta, Indiantown, Vero Beach, Jupiter, West Palm Beach, Lake Worth, Wellington, Riviera Beach.